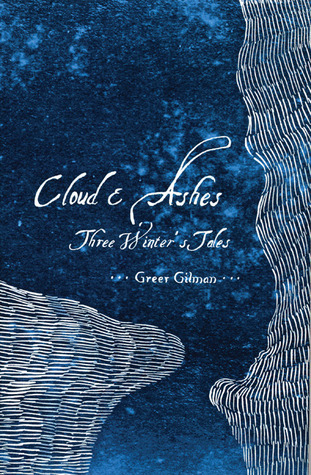 I’ve struggled hard to get through Cloud & Ashes by Greer Gilman. I’ve already written about her seventeenth-century historical novellas starring Ben Jonson, which I consider completely brilliant. Cloud & Ashes is different, in that its setting is pre-industrial, magical and timeless, rather than in the English court of James I and VI. Its three constituent stories (one is short, one is middling, and the other is a novel) are not coherent narratives, but tell episodes from within a world that she first published in Moonwise, and assorted standalone short stories. They are fantastical, linguistically dazzling, and bloody hard to read. The cover blurbs compare Gilman to James Joyce, and I can see why: this volume is challenging, ignores the conventions, and forces the reader along a path that doesn’t so much lead to enlightenment as a cloud of unknowing and bewilderment. Cloud & Ashes was joint winner of the 2009 James L Tiptree Award, which is high praise. I read the first story, ‘Jack Daw’s Pack’ (which was a Nebula finalist in 2001 for the best Novelette), and found myself in a dangerous and cruel landscape. I fought my way to the bitter end of ‘A Crowd of Bone’ (which won the World Fantasy Award for a Novella in 2004) and am very little the wiser. ‘Unleaving’, a new novel set in this world, published here for the first time, had me stumped on page 1. The stories are told in a faux seventeenth-century mode, convincingly handled by Gilman, who is a Shakespearian scholar. The vocabulary is unfamiliar, some of it probably invented, a lot of of it missed out, and the word order and arrangement is deliberately, paralysingly obscure. The mind freezes in confusion because sentence after sentence Does Not Make Sense. The way to read these stories is to skate over that thin ice of non-understanding and hope to fall in, be submerged and finally get it. At plot level I can just about trace the story of ‘A Crowd of Bone’ – Kit Lightwode the fiddler is taken by a witch’s servant to become part of her household, and runs away into the wilds with the witch’s daughter Thea instead. They are in love and they roam the roads as beggars. But that is nearly all I can work out, since the narrative is almost completely dialogue, with snatches of truncated, shimmying description that shies away from actually saying what is happening. There are many speaking voices, often speaking from different moments in the story, from different perspectives. Untangling these is done by finding buried clues in the words used, a single name, possibly one instance of a verb in the past tense in a page of writing. As I said, it’s challenging. Names move into and out of the narrative with damn’ all explanation. Whin, who seems to be a framing character with magical abilities and finds out Kit’s story after she rescues him from drowning, is completely unexplained, but has the responsibility of carrying a lot of story. Annis is the witch: good (actually not good at all, she does horrible things). Brock is a shepherd who looks like a badger and has pockets of useful things to hand out at will to the starving, freezing Kit and Thea. Cloud and Lune are countries (or are they states of being?). Ashes is – what? A condition? A transient personality? A life skill? A role of ritual significance? A metaphor for doom? Gilman knows, the readers of Moonwise may have an inkling, but I don’t. Ashes is referred to constantly as something that Whin, or others, used to be, or will become, but that’s something we have to find out, should we still have the patience. Margaret is – who? I think she will be explained in ‘Unleaving’, but, as I say, I haven’t the energy to tackle that one yet, and if I stop now, I will forget everything in the earlier stories and understand ‘Unleaving’ even less. It’s a reader’s bind: to fully appreciate Cloud & Ashes you have to read all of it, but ‘Unleaving’ constitutes more than half of this thick book, and I am exhausted. I want to read something less consciously tricksy, less dense, less wilfully unhelpful and less challenging. Sorry, Greer. The trick with her books is to read them out loud. You’ll be amazed how much easier they are when read that way.